Geraniol is an active ingredient in the insect repellant products and has been proven effective in keeping away a wide variety of insects like the mosquitoes, stable flies, house flies, home flies, fleas, gnats, fire ants, dog ticks, lone star ticks etc. In ancient times people have been planting geraniums in window boxes so that the natural properties of the geranium flowers can repel bugs. The use of geranium has been traditional and has been passed on to generations. The use of geranium oil has also become popular and the geraniol which is a powerful ingredient extracted from the geranium oil through a unique refining process provides a natural and effective way to ward off insects. The normal geranium plant which is grown in gardens and pots contain geranium oil in low levels. This plant is assigned for commercial oil production and is grown and refined widely in countries like Nepal and Souteast Asian countries. Geranium is not expected to be potentially toxic or harmful and is safe for universal or precise use in food. It is not persistent and bio-accumulative. 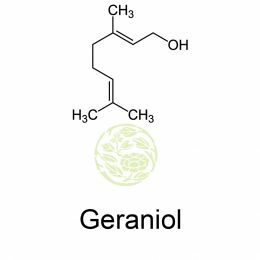 Geraniol is acyclic monoterpene-alcohol and is colorless oily liquid with a sweet rose like scent. When it is oxidized geraniol becomes geranial or citral. It blends with carrot, coriander, lemon, lime, nutmeg, bergamot, orange, rose, blueberry and blackberry oils. 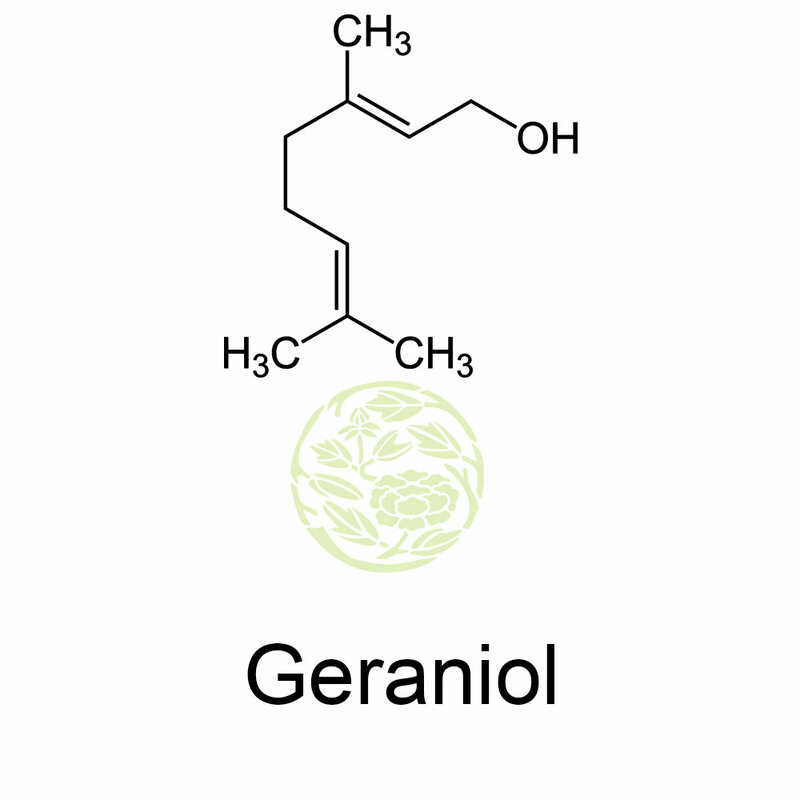 Geraniol, which is a natural antioxidant, is recommended to help prevent cancer. Lemonol, beta-Geraniol, trans-3, 7-Dimethyl-2,6-octadien-1-ol. The functional group foundation on geraniol, without the terminal OH is called geranyl and it is important in biosynthesis of other terpenes. Geranyl is a by-product of the metabolism of sorbate and because of this it is a very unpleasant pollutant of wine if bacteria are allowed to grow in wine.